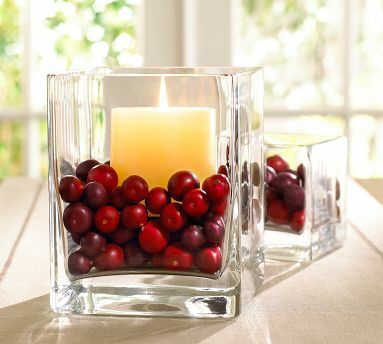 I love the fall time when you can snuggle up in a blanket, watch football or read a book as a candle fills the room with a delightful aroma. Also, I love to redecorate our shop for the autumn season because the colors are welcoming and cozy. 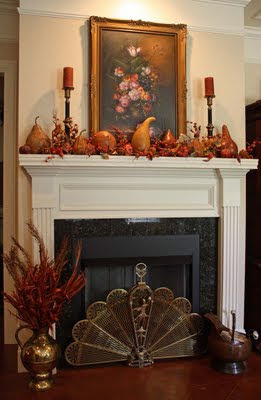 Lately, I have been searching for ideas on how to decorate the shop this year and have come across some photos that express the decor I think makes a room have the inviting feeling of fall. 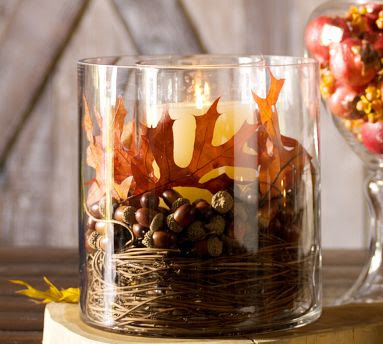 Vase filled with acorns, leaves and a candle in the center! 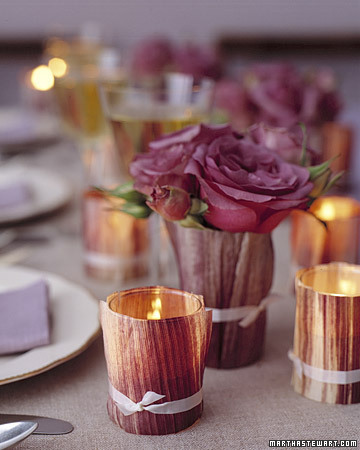 This is dried corn husks wrapped around a glass vase. 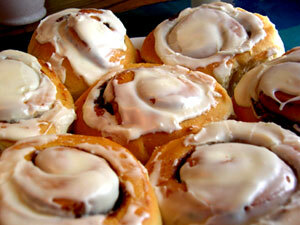 I like how you ended the warm & cozy pictures with cinnamon rolls. When are they coming out of the oven? I want one! 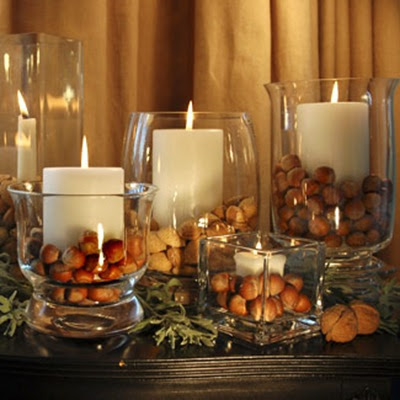 I like the nuts ideas with the candles. 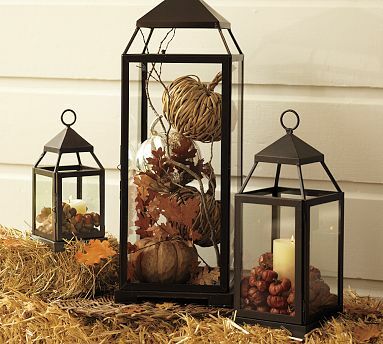 If someone can reach high and get my fall decorations out, then we can start in our home. How about it? Back to sewing, sewing and more sewing!! !